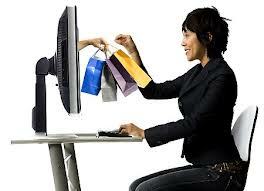 The dangers of shopping online are well known to a majority of consumers. Most people know to watch out for a secure payment gateway and they are told to clarify website’s policy pertaining to returns and complaints. The dangers of revealing their credit card numbers and passwords to a third person or on an insecure website are well-known to quite a large percentage of online shoppers. And yet, do they know of all the dangers of shopping online? Some threats can be more subtle than the others; invisible to the naked eye, but persistent nonetheless. What about those threats? Have you ever spared a thought for them? There are two types of cookies – “persistent” ones and “per-session” ones. Unlike the latter that expire the moment you turn your browser off, persistent cookies get stored on your computer. These cookies collect data about you based on the sites you visit. Little by little they are able to put together an entire profile detailing our likes, dislikes, preferences, favorites, interests, and hobbies. Retailers and shopping websites use this data to create a specialized online advertising campaign known as “behavioral marketing”. This allows them to target a specific section of their audience, encouraging them to buy goods and services that are matched to their unique taste. For instance, let’s say you are a golf enthusiast and in the habit of frequenting several golf websites. If you have cookies on your computer, this information is bound to get stored and passed on to online shopping stores or retailers. So, the next time you visit a website, your computer's IP (Internet Protocol) address might be used to generate golf-related ads and when you go shopping on Amazon you will probably be prompted to buy a discounted set of golf clubs or perhaps the biography of Tiger Woods. As you can imagine, privacy advocates aren’t very happy with this. The very idea that personal information is collected and compiled in this manner is not acceptable to them. Sometimes, this information can also be used to reveal your actual identity. Besides, the more pressing concern is what if retailers share this marketing profile or worse, sell it, to an interested third party without taking your permission? So, what can you do to secure your identity and protect your privacy? There are settings on your browser that allow you to refuse or disable cookies. But usually, when you do that, you also limit the scope of the functions you can perform online. Sometimes, it also prevents you from placing an order too, which, as you can imagine, can be very frustrating for a lot of people. Frustrated by the lack of options, consumer groups have turned to the Federal Trade Commission (FTC) for protection. They are demanding that it should be made mandatory for companies to ask for consumers' permission before they start collecting personal information about them or sharing them with other people. Several requests have also come in for the creation of a "Do Not Track" list (similar to a Do Not Call list) for all those people who do not want to be followed online. But, until that happens, you want to beef up the protection on the computer and lay off visiting dubious websites or opening attachments until they are scanned by an anti-virus. It is not easy to stay away from the prying hands of cookies, but the attempt is to reduce the damage as much as possible.